Malaria is still one of the major killers in Africa. It could be prevented. 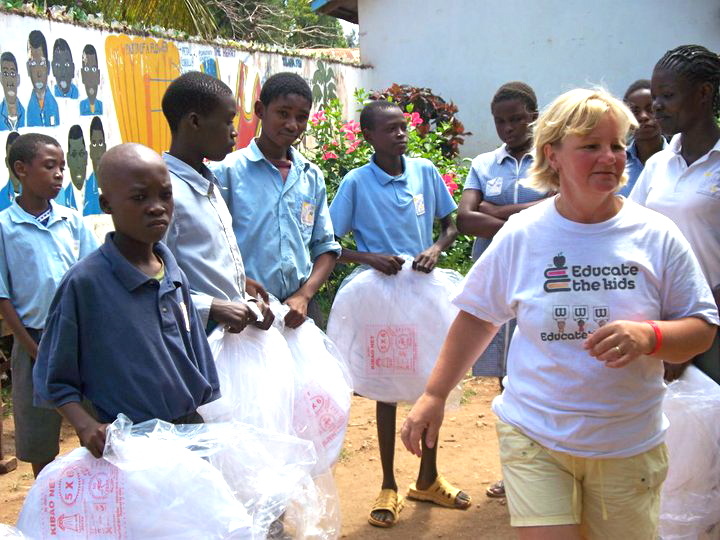 Sandra Cox collected money before her recent visit to our school and bought some mosquito nets for children. With 900 children to deal with you can imagine it must have been difficult for her to decide. They were welcomed by the parents of the children. It is heartwarming when you visit one of their homes when they show you with pride the net above the area the child sleeps in. Many times there is very little else there. Nearly one million people die from malaria each year, mostly children younger than five years old. There are an estimated 250 million cases of malaria each year. Although the vast majority of malaria cases occur in sub-Saharan Africa, the disease is a public-health problem in more than 109 countries in the world, 45 of which are in Africa. Approximately 3.3 billion people live in areas where malaria is a constant threat. 90% of all malaria deaths occur in sub-Saharan Africa. Malaria costs an estimated $12 billion in lost productivity in Africa. When insecticide-treated nets are used properly by three-quarters of the people in a community, malaria transmission is cut by 50%, child deaths are cut by 20%, and the mosquito population drops by as much as 90%. It is estimated that less than 5% of children in sub-Saharan Africa currently sleep under any type of insecticide-treated net.